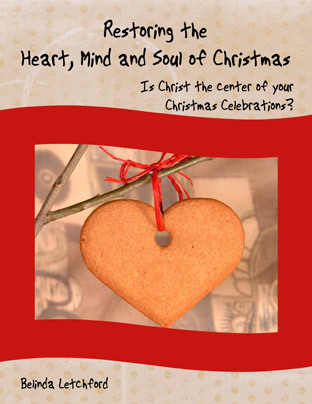 Is Christ the center of your Christmas celebrations? Do your celebrations line up with what you believe? This workshop style e-book is based on a workshop I held for a couple of years to help families see that Christmas can be a significant tradition in our family life. If we are intentional about how our family celebrates we have the opportunity to use this time to teach our children about Jesus, and his love for each one of us. Though I use examples from our family life, my hope is for you to reflect on your beliefs and your traditions but most of all that you consider the opportunities that your family has to worship Jesus at this time. Delivered to your email box, no freight costs, download immediately! Have you already used this workbook? How did this workshop change your celebrations?